Every year, even Lent Madness pauses on this one day. On Ash Wednesday, we set aside our silliness as we are reminded of our mortality and our need of salvation. This year, more than ever, our world needs Lent and its invitation to return to Jesus Christ. We live in a world that is gripped by fear and hatred. Too many of our national leaders seem intent on steering to the low road. Time seems to be in short supply as jobs, families, and various electronic gizmos compete for our attention. Now more than ever, we need Lent. Now is the time for us to renounce fear, to reject hatred, and to take the more difficult high road. Now is the time to make space in our lives for prayer, study, and worship. Now is the time to look carefully at our lives and to open up our hearts to change. Thanks be to God, the church has given us an entire season to do just these things. 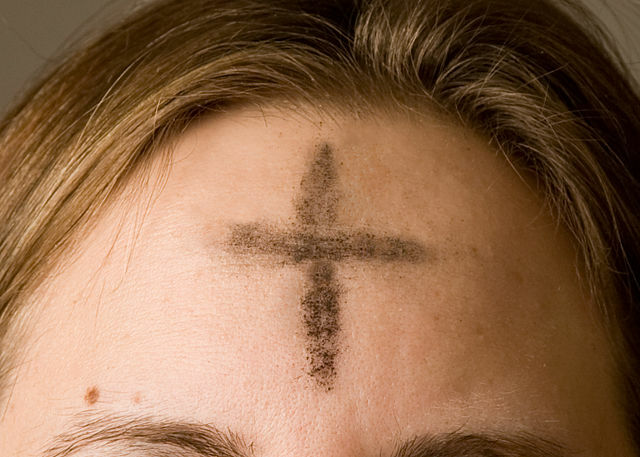 On Ash Wednesday, we are reminded of our mortality. It might seem gloomy, but in fact it is an invitation to savor this earthly life as a precious gift and to live it well. Jesus Christ wants us to have life and have it abundantly, and Ash Wednesday reminds us that we don’t really have that long to get to it. So let’s do that, shall we? We hope Lent Madness will be helpful on your journey. Behind all the competition and humor, we see in the saints a group of women and men through whom Christ’s light burned brightly. They weren’t perfect, but they managed to open their hearts to change, to let God in. As you move through this year’s Saintly Smackdown, enjoy the community of fellow travelers who root for their saints as you root for yours. Learn what you can. Perhaps your prayer life will be enriched as you invite the saints in glory to pray with you. Tomorrow, let the Madness begin. Today, get to church if you can. Hear the Gospel. Pray for God’s forgiveness. Receive the ashen cross on your forehead. And begin this season of repentance with an open heart. We wish you every blessing of God’s gracious love this Lenten season. Psalm 103:14 For he himself whereof we are made; he remembers that we are but dust. In countless prayer and meditation techniques, the sounds and images of waves help usher people into higher states of consciousness. I think waves fascinate people because they remind us that we are dust. We roll through time like sand, swept up in the endless rise and fall of the tide. The idea that we are dust seems to be painfully humbling, but I don’t think we always experience it that way. Waves feel immense and eternal and help us understand on some fundamental level that we are part of a system deeper than we can comprehend. We fade away, and our bodies return to the earth, but the waves continue to break around us. Life on earth might come to an end, but through the crash of the waves, we glimpse the eternal and understand on some level beyond the intellect, our connection to it.